Limited information is available regarding elderly patients experiencing febrile neutropenia (FN). 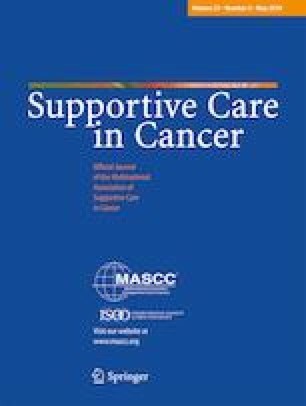 This study evaluated FN-related care among elderly cancer patients who received high/intermediate FN-risk chemotherapy and experienced ≥ 1 FN episodes. We used Medicare data to identify patients aged ≥ 66 years who initiated high/intermediate FN-risk chemotherapy between 1 January 2008 and 31 August 2015 to treat breast cancer (BC), lung cancer (LC), or non-Hodgkin lymphoma (NHL) and had ≥ 1 FN episodes. We identified within-cycle FN episodes for each chemotherapy cycle on Part A inpatient claims or outpatient or Part B claims. We described the FN-related care setting (inpatient hospital, outpatient emergency department [ED], or outpatient non-ED) and reported mean total cost of FN-related care per episode overall and by care setting (adjusted to 2015 US$). We identified 2138, 3521, and 2862 patients with BC, LC, and NHL, respectively, with ≥ 1 FN episodes (total episodes: 2407, 3840, 3587, respectively). Most FN episodes required inpatient care (BC, 88.1%; LC, 93.0%; NHL, 93.2%) with mean hospital length of stay (LOS) 6.2, 6.5, and 6.8 days, respectively. Intensive care unit admission was required for 20.4% of BC, 29.0% of LC, and 25.7% of NHL hospitalizations (mean LOS: 4.7, 4.7, 5.5 days, respectively). The mean total cost of FN care per episode was $11,959 BC, $14,388 LC, and $15,006 NHL, with inpatient admission the costliest care component ($11,826; $14,294; and $14,873; respectively). Among elderly patients with BC, LC, or NHL who experienced FN, most FN episodes required costly hospital care, highlighting the FN burden on healthcare systems. The online version of this article ( https://doi.org/10.1007/s00520-019-04795-0) contains supplementary material, which is available to authorized users. Medical writing support was provided by Martha Mutomba (on behalf of Amgen Inc.) and Micah Robinson (of Amgen Inc.). The authors thank Chronic Disease Research Group colleague Nan Booth for manuscript editing. This study was supported by Amgen, Inc.
Shuling Li and Jiannong Liu are employees of Chronic Disease Research Group, Hennepin Healthcare Research Institute, which has received project funding from Amgen, Inc. Charles Bowers, Tamer A. F. S. Garawin, Christopher Kim, Mark E. Bensink, and David B. Chandler are employees of and own stock in Amgen, Inc. Formal consent was not required as the article does not contain any studies involving human participants performed by any of the authors.